Sleek and perfect for class or performance! 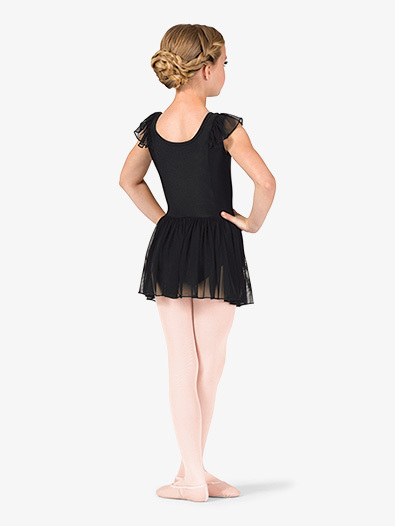 This leotard features mesh flutter sleeves, flattering princess seaming, an attached mesh skirt, and attached briefs. 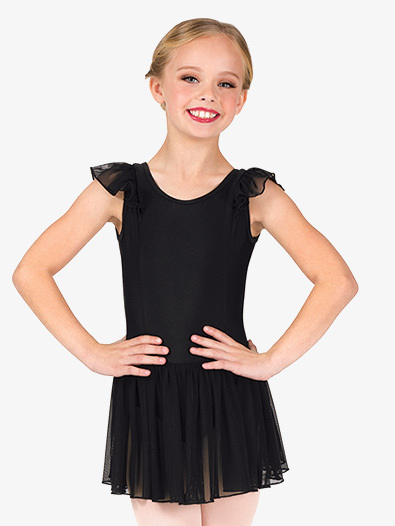 For extra coverage, dress is fully front lined. BUST 19"-21" 21"-23" 23"-25" 25"-27"
WAIST 15"-17" 17"-19" 19"-21" 21"-23"
HIP 20"-22" 22"-24" 24"-26" 26"-28"
GIRTH 38"-41" 41"-44" 44"-47" 47"-50"